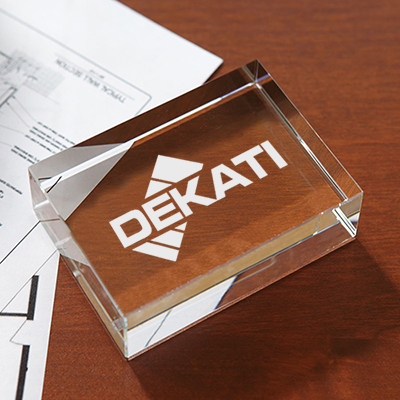 Custom glass awards are sophisticated and make deserving gifts for your employees. They can be given to your top performing executives to motivate them and appreciate their efforts. The undulating cobalt blue ribbons that climb up to the peak of this art glass will remind your employees to become more focused and result-driven. 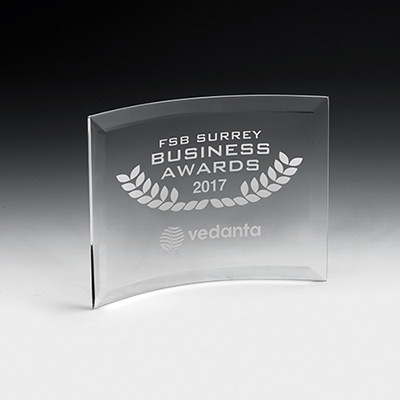 We use sand etching technique to imprint your company’s logo on these promotional glass awards for a lasting effect. 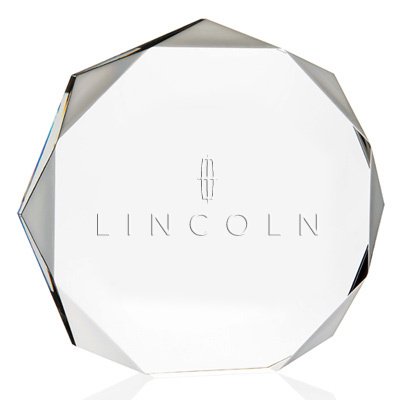 "This award is positively stunning! I'm very impressed. " 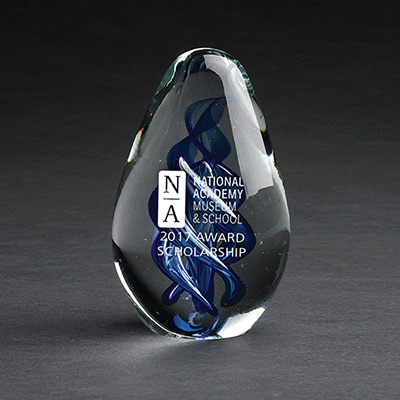 Beautiful award will be admired by all!